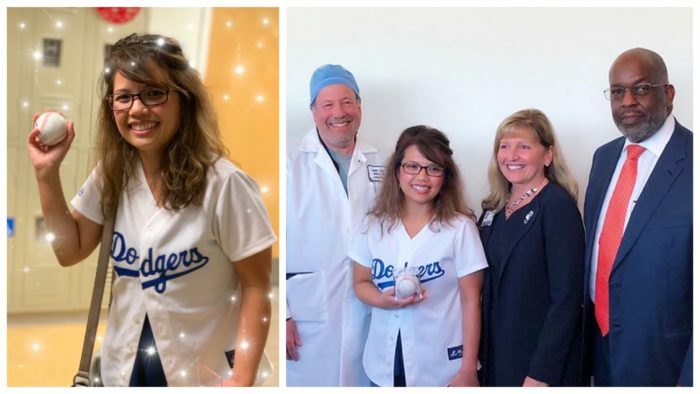 Congrats to Kaiser South Bay Health Care Professional Association (KSBHPA) members for their award-winning contributions to safe patient care! 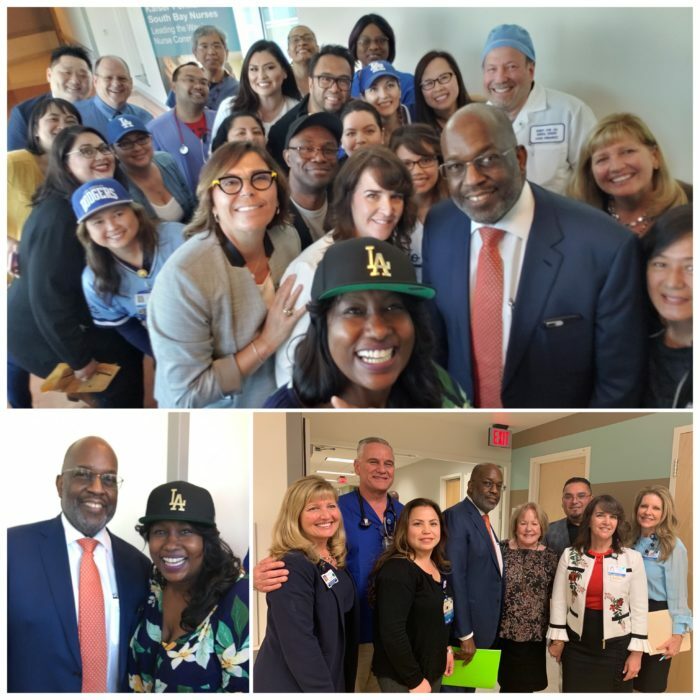 On March 25, Kaiser CEO Bernard Tyson stopped by Unit 3400 at South Bay to present the Good Catch Award and to recognize the department’s unprecedented two-time win of the Regional Sustain Award for HCAHPS RN Communication. HCAHPS, the Hospital Consumer Assessment of Healthcare Providers and Systems, is a patient satisfaction survey for all hospitals in the US. By involving UNAC/UHCP union members like Sweeney who works 3400 Days and fellow UBT co-lead Jason Flores, RN (3400 Nights) in the decision making, the bar is set high and members show what a functioning Labor Management Partnership (LMP) is capable of. Registered nurse Myrrah Barnum received the Good Catch Award. The Good Catch Award is for a staff member who noticed something and proactively did a safety check to improve worker or patient safety. It recognizes staff who caught something that others didn’t and escalated to make sure the patient is safer and cared for. Sometimes they are lifesaving catches. For ‘catching’ the error, staff receive a baseball. Congrats again to KSBHPA members and leaders for continuing to make Kaiser the best place to give and receive care.